Cedarwood Surgical's experts can help your practice succeed! At Cedarwood Surgical, we pride ourselves on providing you with the highest quality new and refurbished medical equipment. We supply Office-based Labs, Ambulatory Surgical Centers, Vascular Access Centers and other surgery-based facilities. Our professional team brings years of experience to the table when it comes to putting together packages of high quality equipment and supplies for your facility at an affordable price. The reputation of our team has been built over many years of dedicated service within the medical equipment market. We have worked with hundreds of Office-based labs, Ambulatory Surgical Centers and Vascular Access Centers to supply them with the most cost-effective medical equipment and supplies without sacrificing quality. 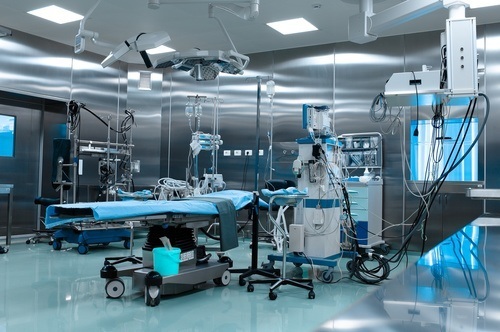 Our holistic approach allows us to easily supply equipment for your pre-op, post-op, operating room and any other area of your surgical facility. We have formed strong relationships with dozens of equipment manufacturers and refurbishment companies to ensure you get the most cost-effective equipment for your facility. Our network of direct suppliers makes it easy for us to tailor the right equipment package for your specific needs. You gain the peace of mind in knowing we only work with the best of the best when it comes to your equipment needs. Our refurbishing partners bring highly trained and skilled technicians and professionals to the table. The quality of their refurbishing work is the best on the market to ensure you gain access to equipment working just like it did when it was brand new, but for a fraction of the cost. One of the most difficult aspects of opening an Office-based lab, Ambulatory Surgical Center, or Vascular Access Center is getting the right equipment at the budget available for you. Our team works carefully with you to ascertain what your budget is and then supply you with the most-effective solution within that budget. The professionals at Cedarwood Surgical work very hard to provide and maintain a high level of customer service. We are a dedicated, knowledgeable team ready to share our problem solving skills and experience with you. We don’t want to sell you a pre-built solution for your business and we don’t believe in one-size-fits-all. Instead, we want to help you build the right custom package of equipment and supplies to meet your specific needs. It all starts with a phone call. We provide you with a free, no-obligation consultation to ensure you know what you are getting when you work with us. Call us today at (804) 598-1099.